Purpose Built Corporate Training Board Games for Japan, to facilitate Recruitment Training and Negotiation Training. we use the gamification of business training to enhance your recruitment training and negotiation training; all our board games are in english (Other languages coming soon), allowing you and your team the opportunity to master the training of each board game. A table-top board game training tool for serious, interactive Recruitment Training. Taking Learning and Development to the next level. Once you play it you'll ask, why is this the first time I'm seeing this! Looking to for a unique corporate training strategy? In our Negotiation Training game you join a mysterious guild of negotiation masters on a voyage to save the world from disaster. Using the facilitation best practices framework, our Project Manager Training Board Game will transport you and 5 of your fellow Project Managers through time, space and other resources on a epic journey to deliver on time and under budget, or else! 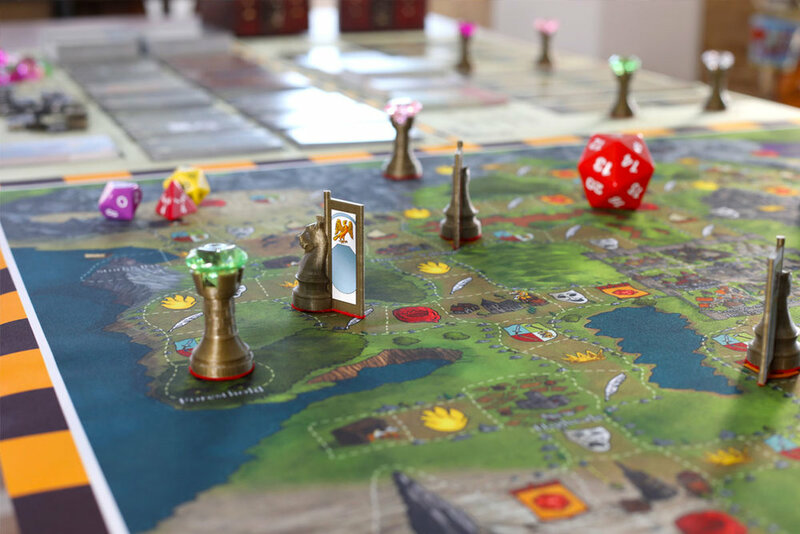 Why Use Board Games for Corporate Training? Corporate Training can be a laborious, expensive process with little return or results. Smarter Faster Games has developed a framework using industry best practices to use gamification when it comes to business training. We make use of facilitation best use case strategies, being acutely aware of the training objectives businesses have when it comes to recruitment training as well as negotiation training. Our corporate training tools are available in English and can be translated into any language as needed. Curious about what you can expect, take a look at our current release, Meisters & Monsters: a recruiters quest below, or contact our team who can present a demo to you on how the corporate board game functions. Buy the games and run them yourself or engage our experts to facilitate training sessions for you. A game of Meisters and Monsters - a Recruiters Quest underway! A comprehensive training experience in the area of Recruitment. Fun and engaging game play encourages learning and is excellent for team building. a Facilitators guide, Story Guide, Players Journal, and Realm Leaders Guide all featuring desired learning outcomes, rules, how to run a story based training session, and so much more! 8 optional shorter games to focus training onto specific aspects of Recruitment. a large world map (which can be custom printed to any size). Hundreds of Candidate Hero, Job Quest, Event, and Realm Quests cards. They can used in our shorter games as well as in the full game. Heavy metallic in-game currency coins of 2 denominations and high value gems, for rewarding players for placing candidates, splitting deals, crafting smart solutions to issues and closing projects & contracts.